Often when I meet clients for the first time they are in the midst of frustration, confusion, high stress and anxiety. As organisations spread their wings and expand into new overseas markets, inevitable cultural challenges are frequently unforeseen and unimagined. Largely this is because until companies emerge from their mono-cultural environments, these new circumstances and obstacles have been unknown. Typically international expansions are initially turbulent, unpredictable environments. While there should be an element of 'learn as you go' that supports a healthy level of flexibility and adaptability, carefully considered strategic business plans that incorporate the new environment/s are essential. Are your organisational structures aligned with the local 'on the ground' structures? Consider additional resources that you may need to employ. i.e. hiring local staff with local knowledge, who have established relationships and an understanding of the nuances of ‘how things are done’ locally. Standards, quality and priorities are culturally prescribed. How will you ensure that they are aligned with your organisational standards? How will you create the right culture that will support the company to effectively execute its strategies? Do you fully grasp and understand the real challenges on the ground? i.e. time lags, approval processes, monitoring of tracking approvals and mentoring processes. How will you identify early warning signs of potential problems? How will these be addressed as they emerge? Do you have strategies in place to support your organisation in terms of developing relationships with other local organisations? This is particularly important in highly relationship-based cultures. 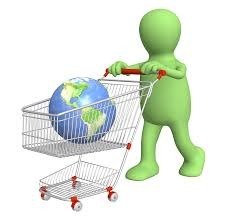 Keep in mind that your brand might be a new brand in this market and word of mouth can be a key influence. How will you establish a new portfolio of local clients and ensure that client engagement will be supported and maintained through culturally appropriate behaviours? How will you map approval processes? How will you broaden your exposure and expand your local networks? When you are involved in projects where teams are built for assignments then dismantled, how and where will you recruit from? Remember that competency will only get you so far; you also need to know how to maintain staff motivation and engagement. Timelines are invariably always an issue. Have you allowed for extra time in all of the processes? Don’t assume that your existing staff, managers and leaders will ‘know’ how to operate in new cultural environments. Do you have both pre and ongoing training, mentoring and/or support structures in place? Remember that culture, working styles, and performance evaluation all need to change in order to attract and retain the talent that is needed to succeed. Engage your employees who are ‘on the ground’, seek their feedback, ask them what is working and what isn’t working. Extract their knowledge and experiences, encourage them to mentor others and share their intelligence with the wider organisation. What Questions Should Your Organisation Be Asking? While the idea of the the East as a growing region is not a new phenomenon, ever-evolving opportunities, complexities and challenges require unique strategies for success. A particularly compelling theme throughout the book is the ripple effect that various regional domestic demands have across countries and sectors, from logistics to the entertainment industry. Simpfendorfer calls for the business world to respond to the rise of the East by embracing complexity and planning for the unexpected. He relates his experience of working for some of the world’s largest multinationals, transacting deals between countries such as China and Pakistan, and assisting mid-sized foreign companies in deciding how to enter the East, in order to provide readers with commercially relevant and tested solutions. The chapters are not necessarily intended to be read in order. Rather each chapter focuses on a key issue that contributes to the ever changing construction of a 'mental map' that helps to understand how a change in one country or industry may impact another. 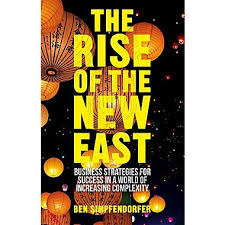 "The Rise of the New East: Strategies for Success in a World of Increasing Complexity" By Ben Simpfendorfer (2014).